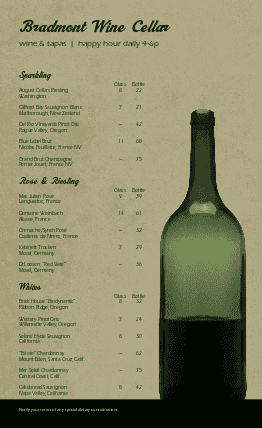 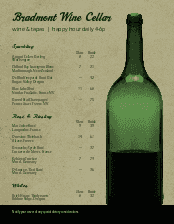 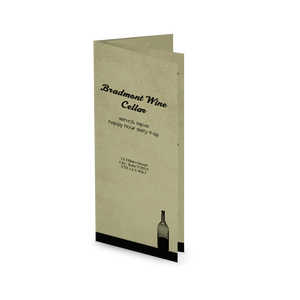 Use the Cafe Wine List template to list your wine selections by glass and bottle prices. 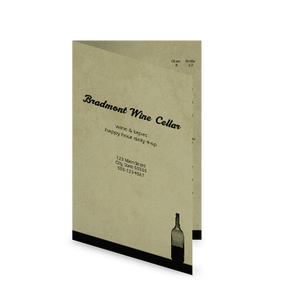 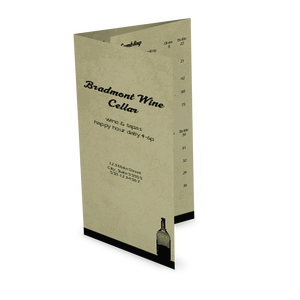 This design features a parchment paper background and a green wine bottle. 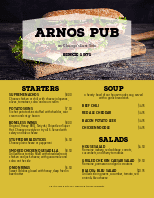 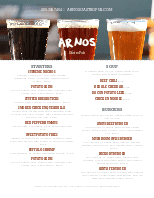 Customize this template using the online Menu Maker.